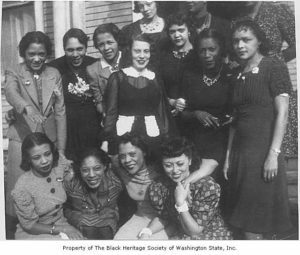 The collections of the Black Heritage Society of Washington State, Inc. are a managed public resource. The archived collections are representative of Northwest black history and culture that include genealogical and family papers, business and organization records, and memorabilia such as photographs, postcards, sheet music and trade cards. In addition, the Jacqueline E.A. Lawson Resource Center holds a wealth of published ephemera, including books, pamphlets, serials, and newspapers. Enter the name of the collection(s) you'd like to view.